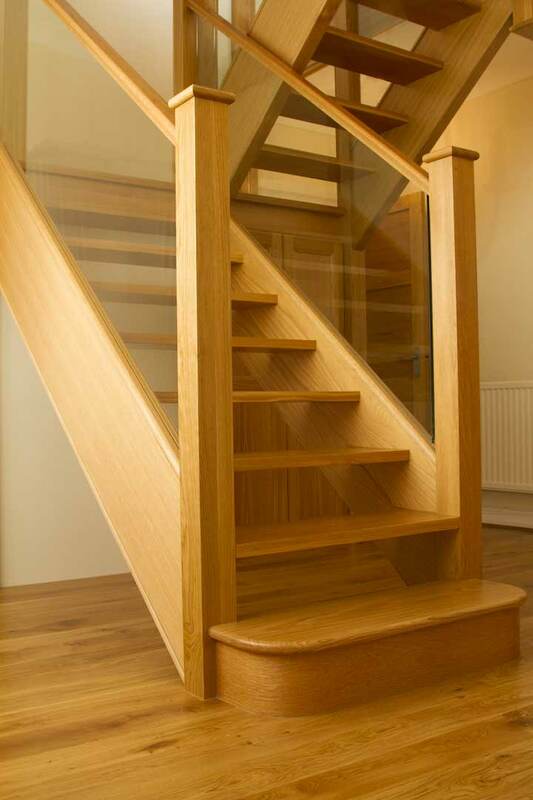 Classic glass staircases add a minimalistic design statement to your hallway and your home. 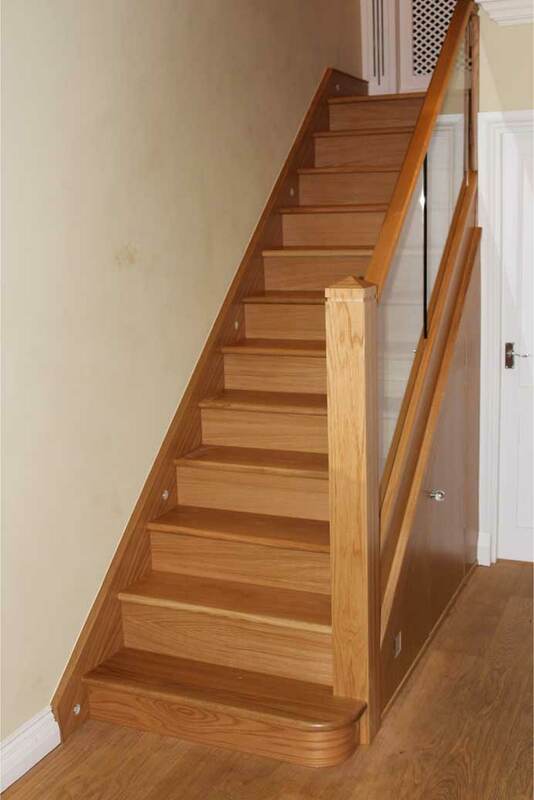 It allows light to flood into an area which may often be deemed too dark. 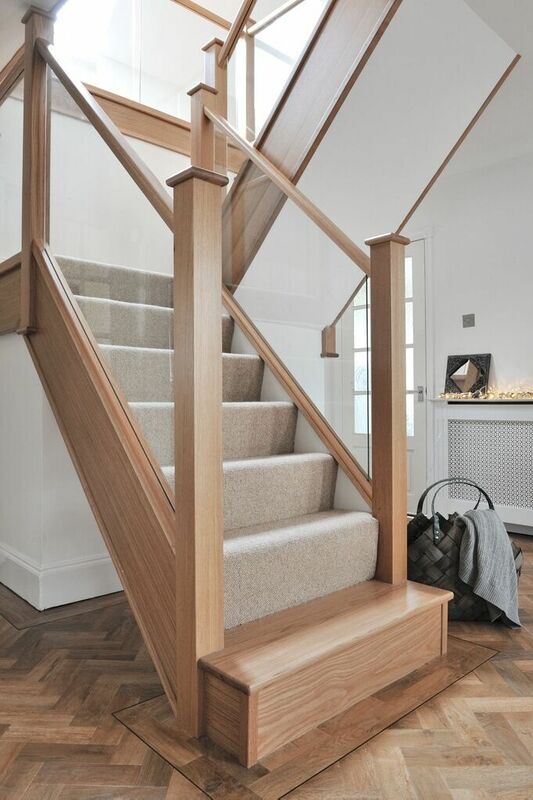 This option makes hallways become much more spacious in appearance and creates an air of sophistication with a classic and traditional feel. 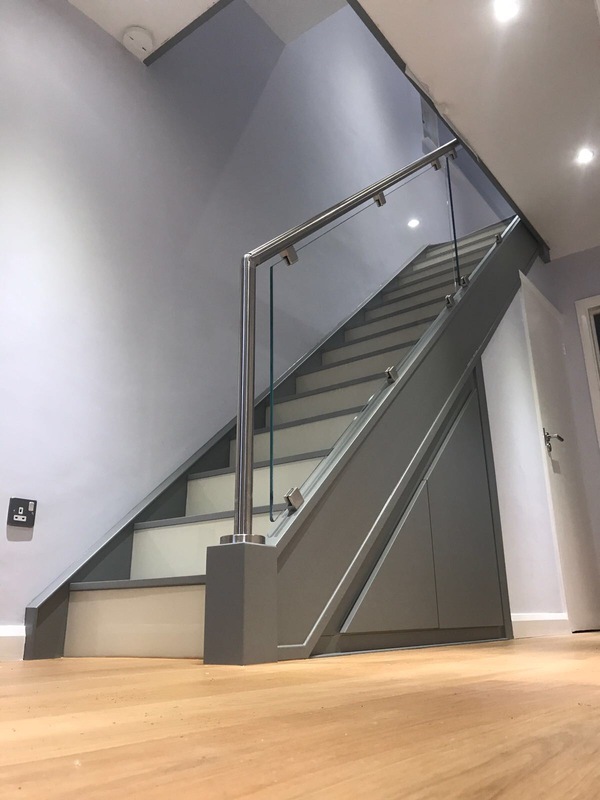 The majority of projects are completed in just 24 hours. 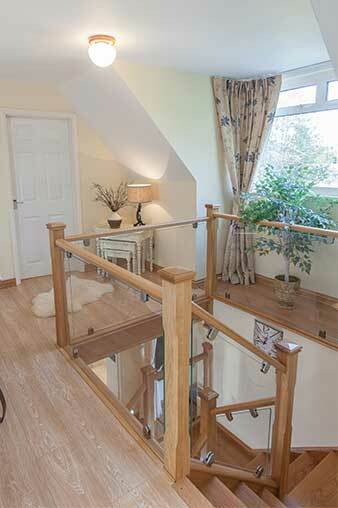 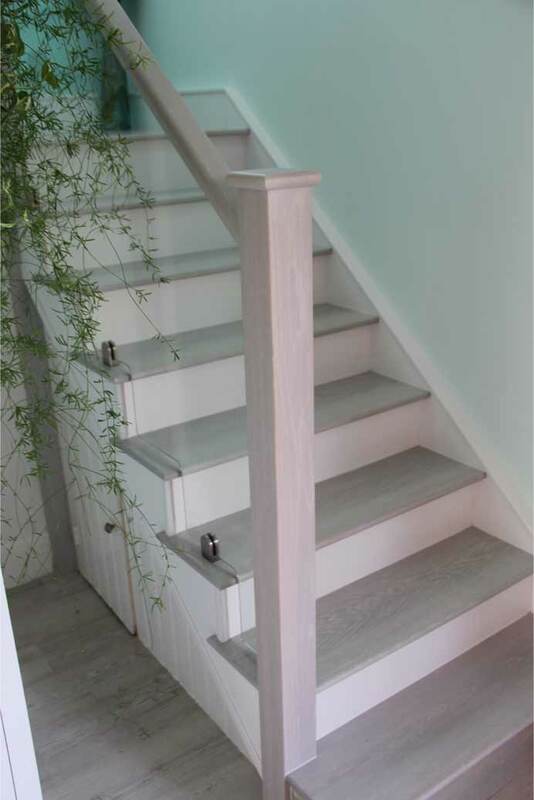 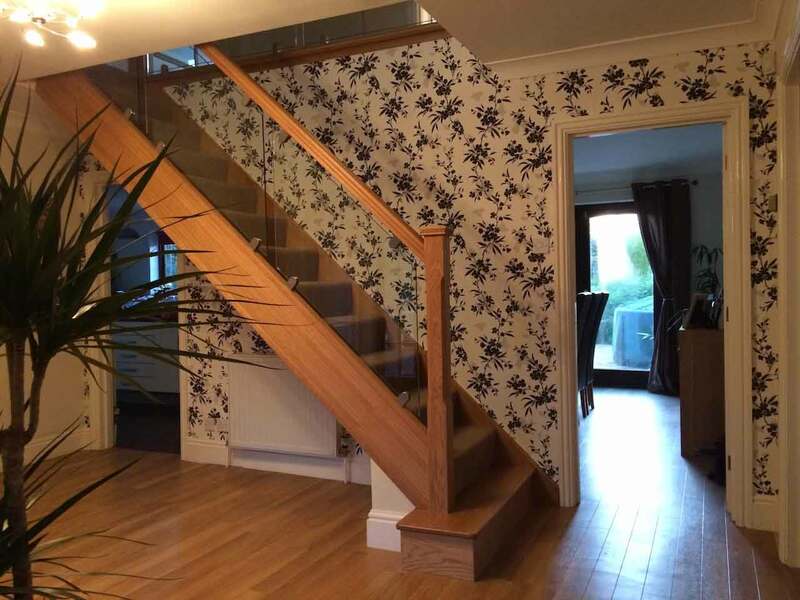 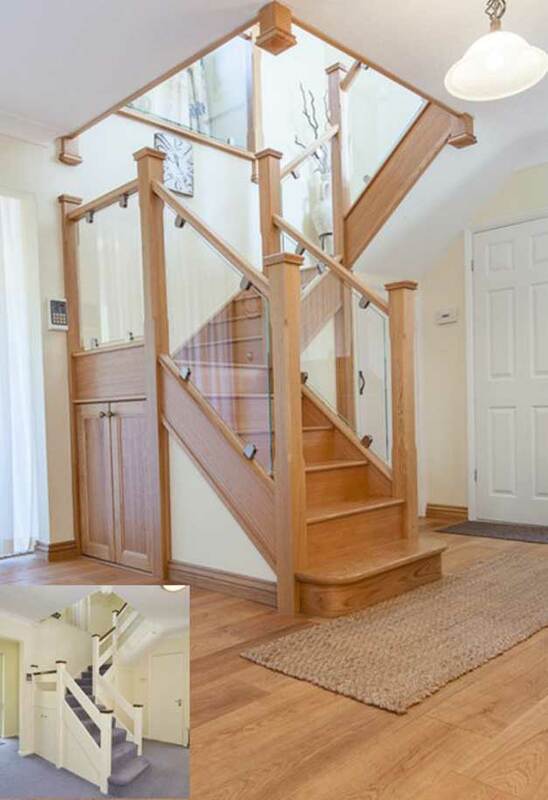 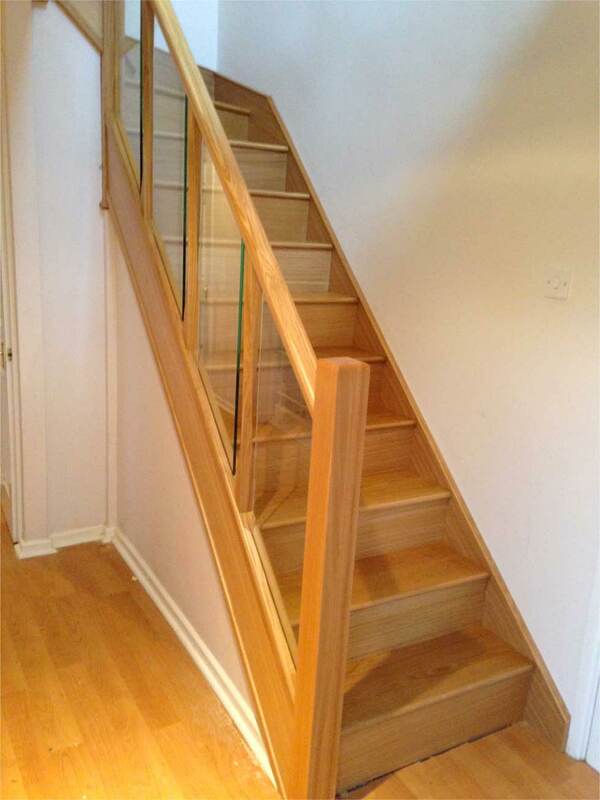 Choosing an integrated glass staircase renovation offers a simple, clean interior design. 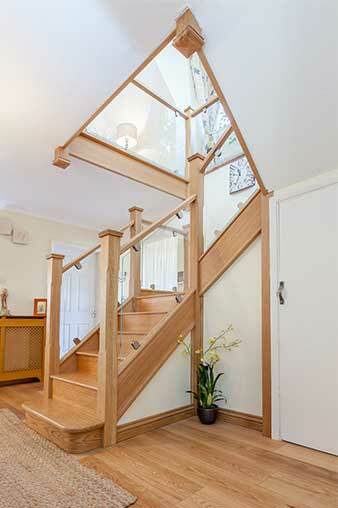 It is minimalistic and doesn’t detract attention from any surrounding wood. 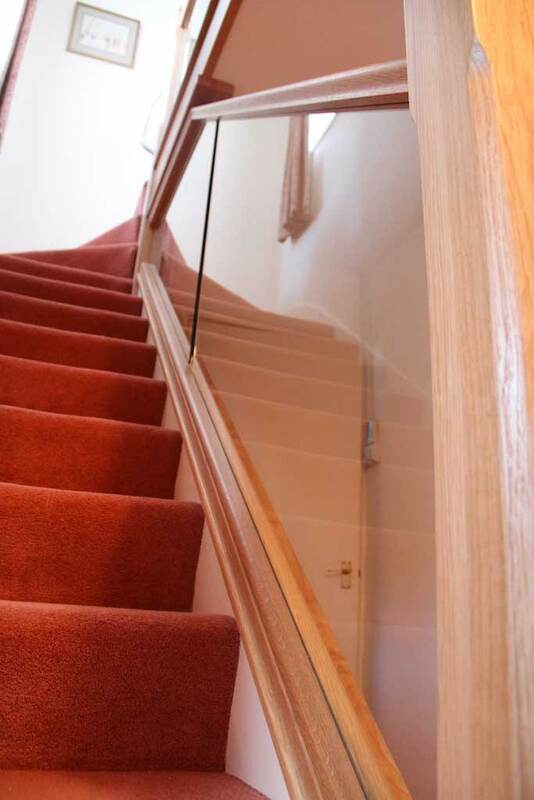 Each glass panel sits neatly within the hand and base rail and creates a very clean and seamless design statement. 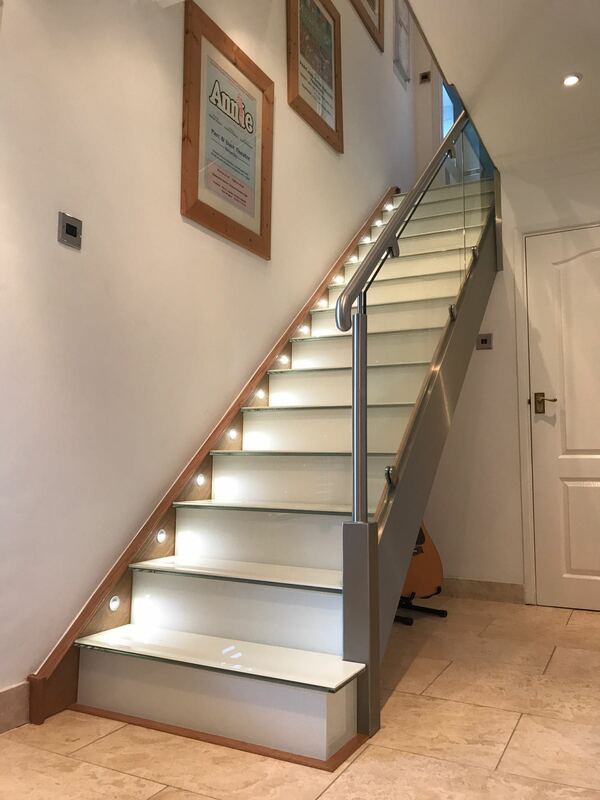 Adding lights to the underside of the base rail creates a feeling of warmth to the glass and adds another dimension to the design. 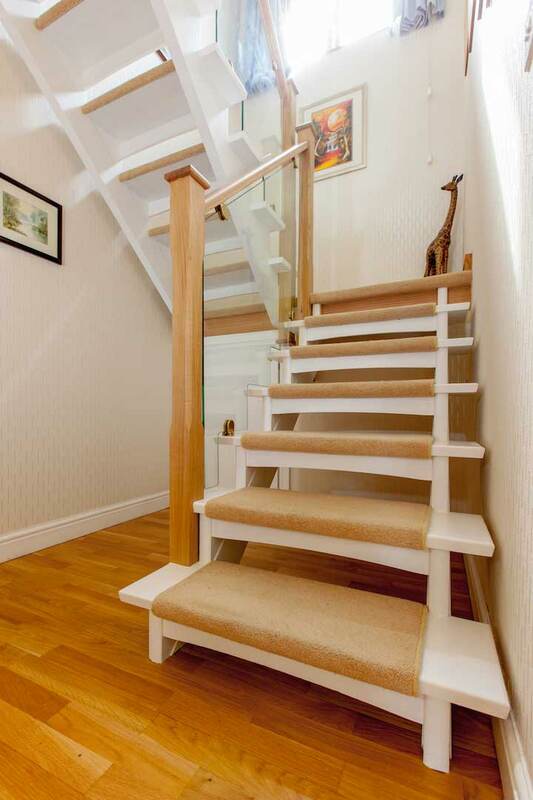 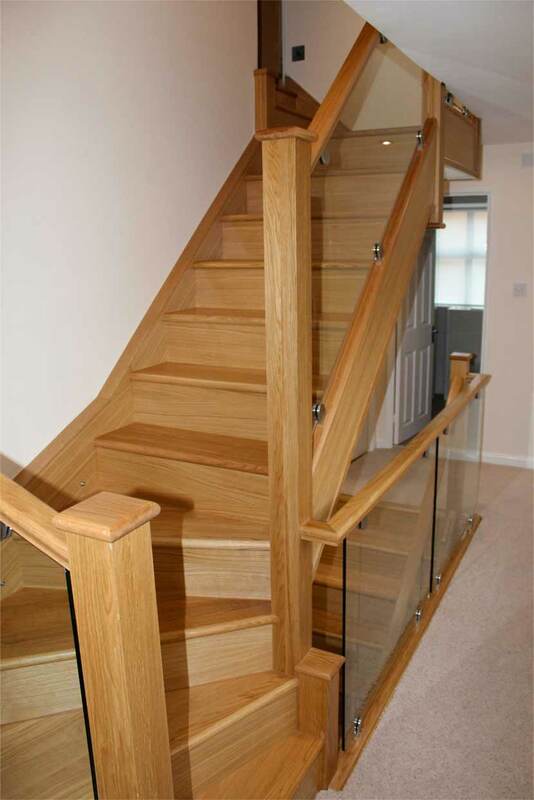 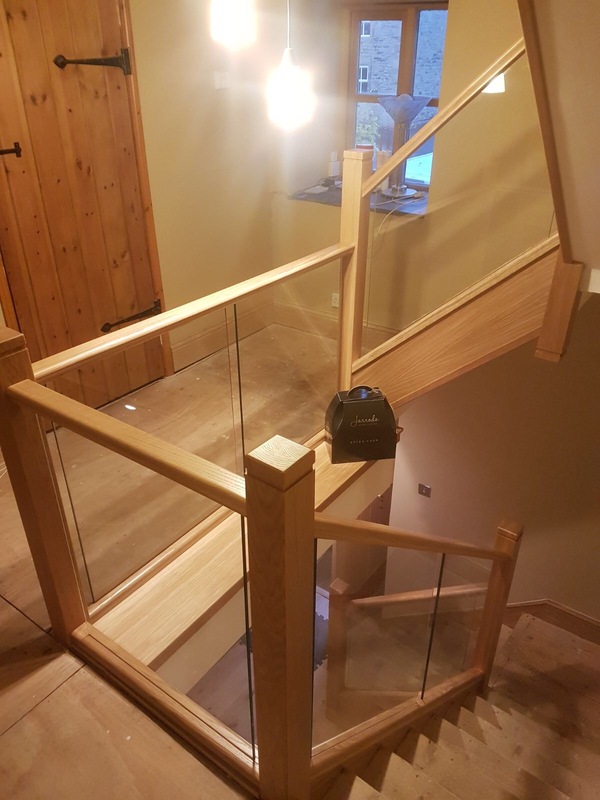 We offer two designs within our bracketed glass staircase renovations. 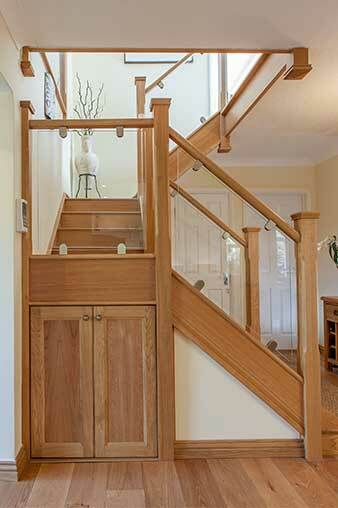 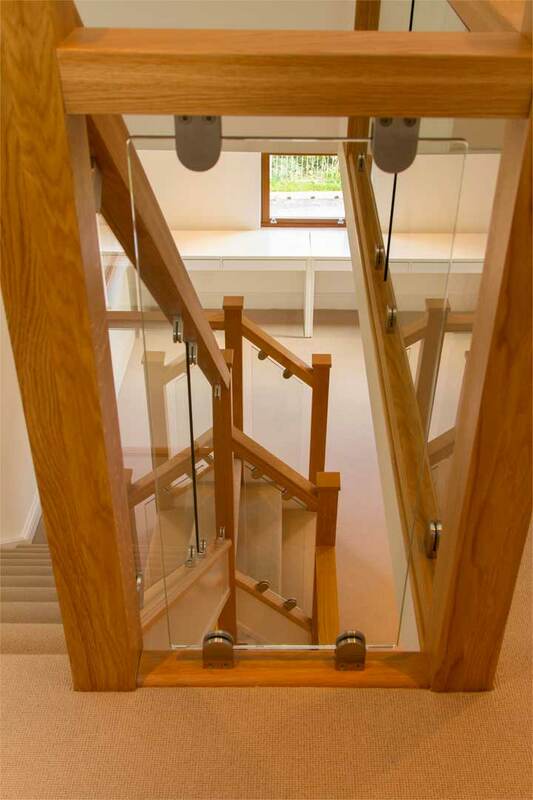 Inline bracketed glass creates a straight line from the top to bottom and is suited to closed string staircases. 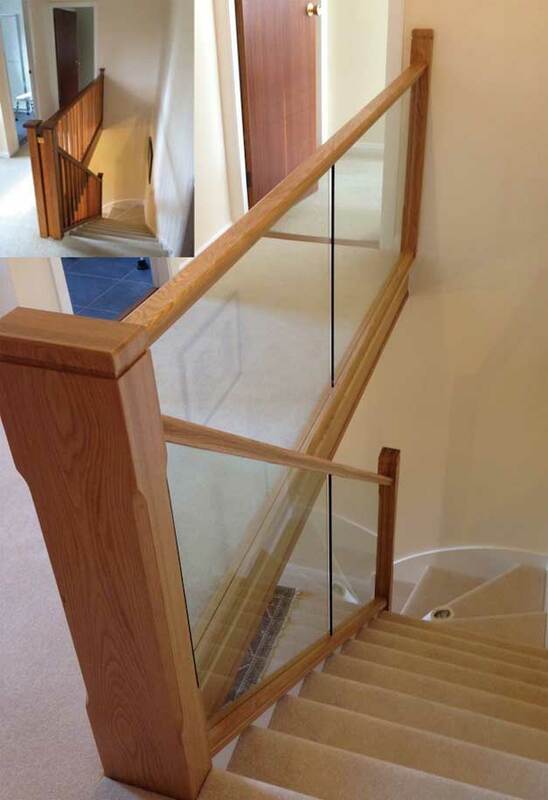 The glass is cut inline and parallel to the hand rail and base rail and offers a smooth and simple design statement. 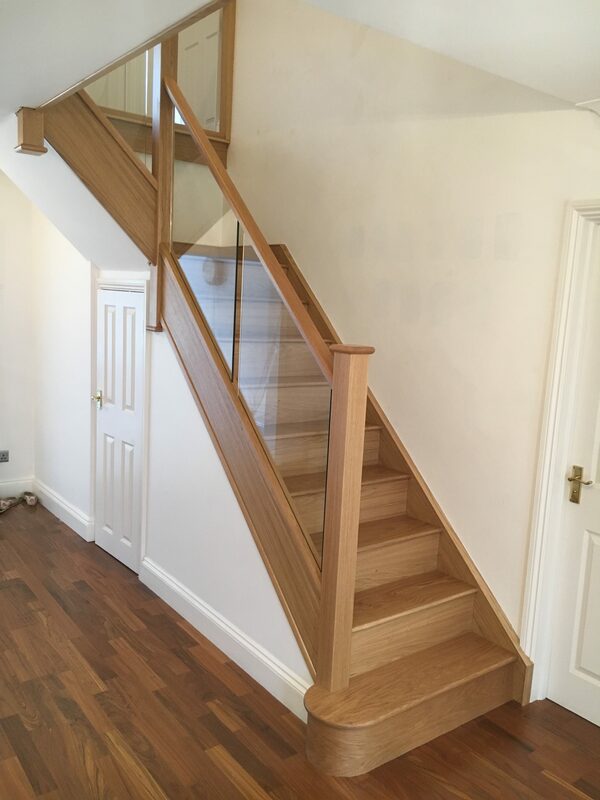 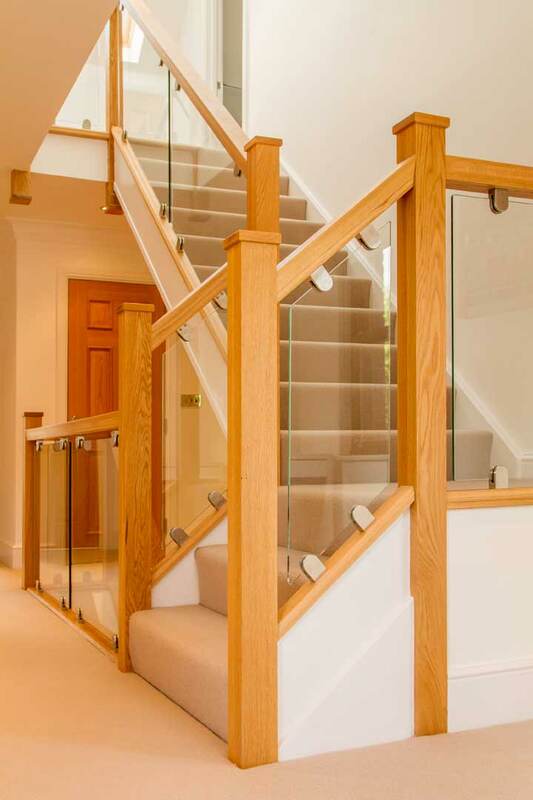 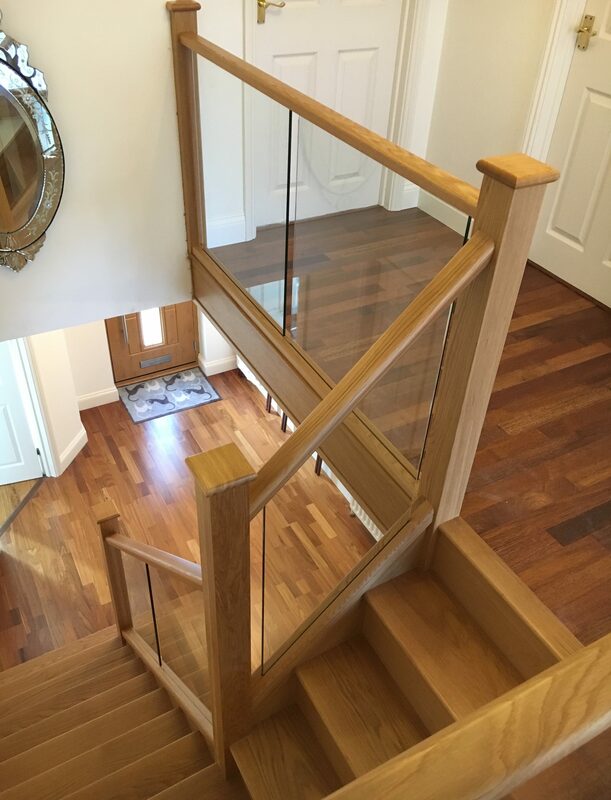 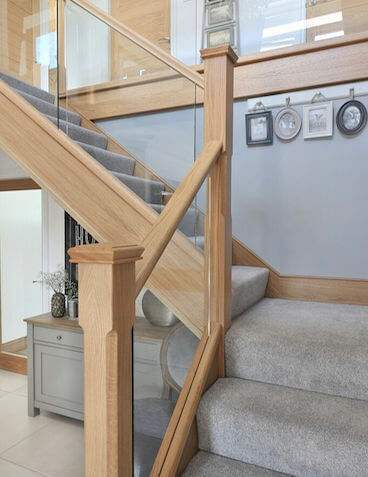 Stepped or saw tooth bracketed glass creates a design which is stepped with each tread and riser and is suited to cut string staircases. 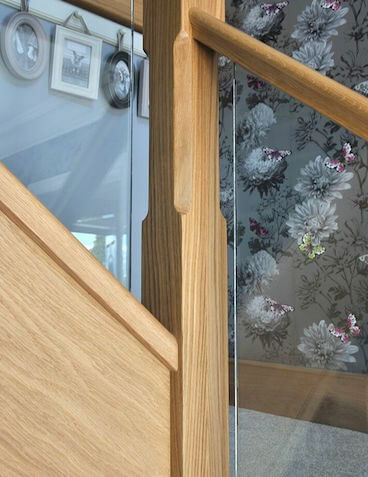 We offer a range of metal finishes to our glass and hand rail brackets. 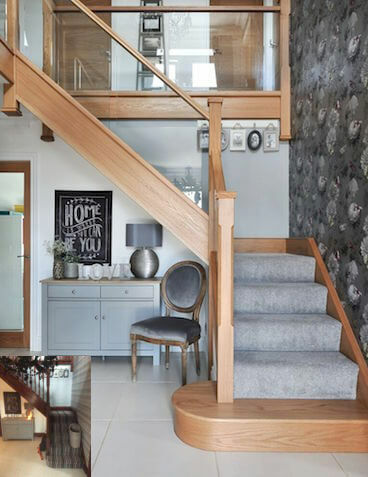 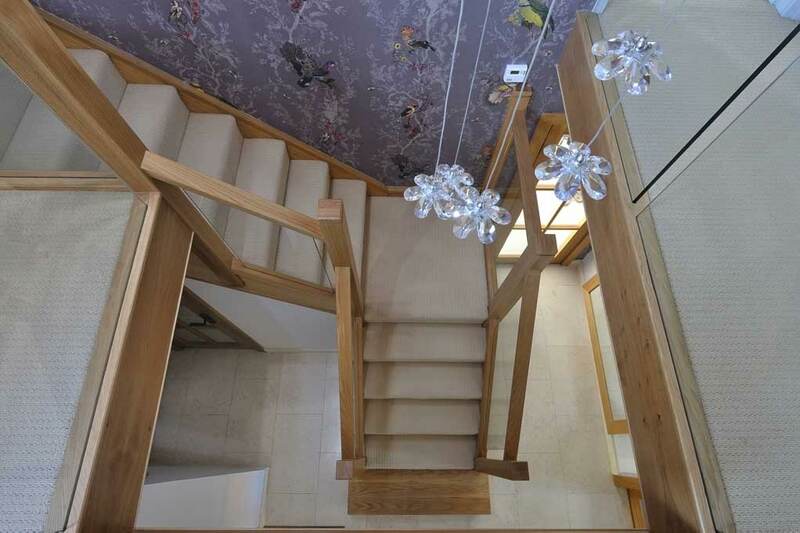 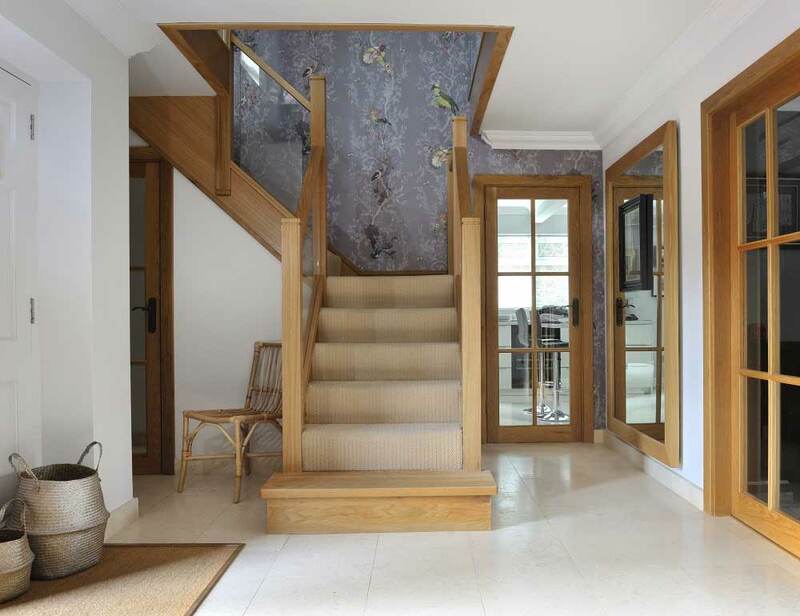 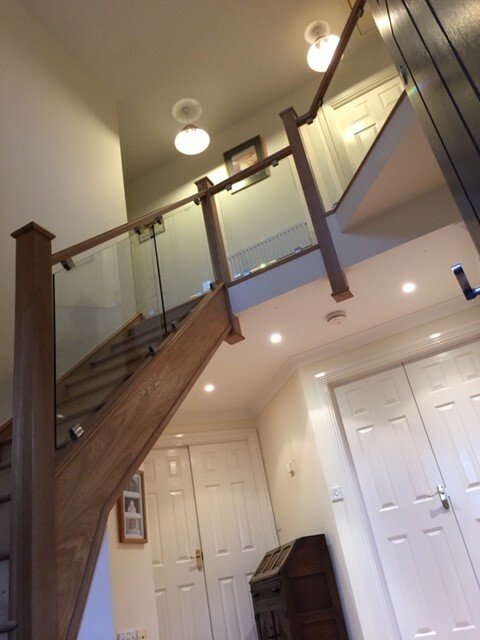 We try to match them to our clients existing interior ironmongery as complimenting such details encourages the staircase and hallway to become a room within its own right, rather than a thorough fair.